Adios college dorm furniture and portable everything! Here’s a complete guide to decorating your first official home. Whether you’re fresh off the university graduation podium, settling into your first “adult” job, or just flying away from the parental coop, congrats! You’re moving into your first space as an official homeowner. Moving into your first home can be a mix of excitement, overwhelm, liberation, hope, and pretty much every other emotion known to mankind. And although the process of getting settled in may seem endless, furnishing and decorating your new home should be a rewarding experience. Once you’ve freed yourself from the college futon and twin bed, it’s time to turn your new first house into a place you can call home. If you’ve been dorm and apartment surfing the past few years, it’s time to customize something you may never have been able to change before: the white walls! Nothing transforms your space quite like a fresh coat of paint. Decorating your first home starts with color! Maybe you’ll want to add warmth to your living room area with a natural hue that complements your couches. Or perhaps you’ll benefit from a pop of color in your brand-new master bedroom. For help with different hues, consult House Tipster’s article on the best bedroom colors. Consider the color palettes and the styles of the furniture for each room before coating the walls in color, but definitely paint before moving any furniture or boxes in. Trust me. Painting an empty home is a heck of a lot easier than constantly moving furniture out of the way and covering everything in plastic while painting a room. Once you do start moving furniture inside, keep in mind that organization is essential. Prioritize a few old treasures, but learn to say goodbye to unnecessary junk that you’ve held onto from apartment to apartment. Since you’re moving into a new space, now is the perfect time to ensure anything you’re keeping has a purpose. Then organize what you save by finding a place for it. 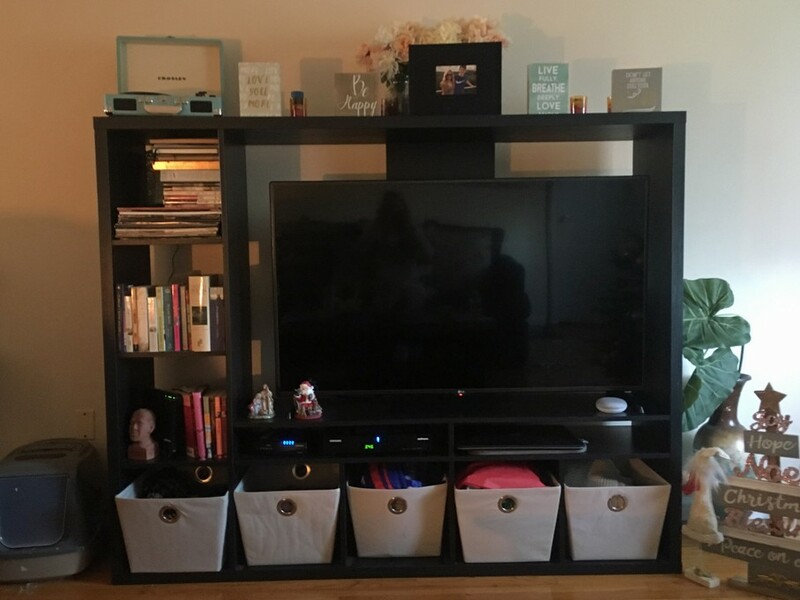 Invest in an entertainment system with slots and storage options, a filing cabinet, and a desk with drawers for organization. Anything you bring into your new home should be put to good use and have a spot. This will avoid a house full of clutter. Did you know that American adults spend about one-third of their at-home time in the bedroom? It’s true, and that’s why your brand-new bedroom deserves a lot of TLC. If you’re truly starting from scratch, a bed should top your list of new furniture to buy. It’s always safe to start with a classic heirloom piece rather than choosing a style that may feel outdated in a few short years. If you’re home decorating on a budget, focus on new bedding, and don't skimp on thread count! Pay for as much quality as you can afford in this area. It’ll make a huge difference. If you have some extra cash in your pocket after dressing the bed, add a matching window treatment. Early risers should opt for lighter colors and more translucent window treatments. Night owls who like to sleep in will probably be more satisfied with deeper tones and more substantial coverings that block sunlight from creeping in. When I said to go with a classic bed that will last, I wasn’t kidding around. I suggest investing in a new bed because you spend a large amount of time there. But when it comes to other large pieces of furniture, I don’t necessarily recommend the same guidelines. When it comes to living room decorating ideas for your new home, consider buying your big pieces of furniture, like the sofa, secondhand. This isn’t just about budgeting. It's about how your style will change as you settle down and learn what you like and what you don’t like. Your personal design style will likely go through three or four metamorphoses before it relaxes into something that's truly you. Moving into your first home is exciting!! You’re going to want everything to be perfect and lovely and amazing. This is all possible. But it doesn’t have to happen all at once. If you can, live in your new home for a few weeks before making any significant purchases. How you think you're going to use the house and how you actually live in the house are commonly two different things. Start with the bare bones like the bed and the kitchen table, but hold off on things like bathroom renovations, even if you think they’re necessary. Soon enough, you may realize that renovation money will be better put to use in kitchen appliances. Bring life to the lesser-decorated areas of your new home with accent pieces such as wall décor, end tables, throw pillows, statement pieces, candles, and throw blankets. Smaller decorations like these can easily be moved or swapped out as your personal style develops. When it comes to decorating your new home, remember that slow and steady wins the race! Nothing has to be done all at once, and nothing has to be perfect right away. Take a deep breath and be proud of the accomplishments that have allowed you to score your new home in the first place. The rest will fall into place over time.